He’s back. 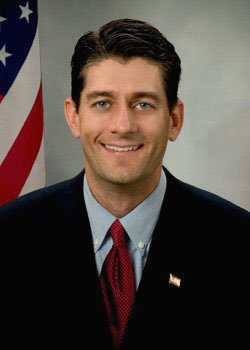 Paul Ryan has come out of hiding to appear on the talk shows. He could be defined by what he is saying now or by the Ryan budget or by being the back half of the Romney/Ryan horse that lost the 2012 election horse race. However, I prefer to define him by two contrasting events that demonstrate his support for the 1% over the 99%. He voted against the Federal relief package for victims of hurricane Sandy. He was spotted dining at a posh Washington restaurant with a hedge fund billionaire where they indulged in two bottles of wine at $350.00 each. Running for President, he is.